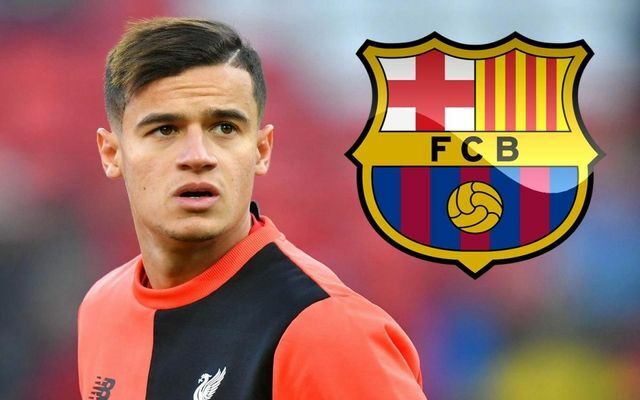 Liverpool will demand an ‘astronomical’ fee from Barcelona for Coutinho after Nike prematurely ‘leaked’ the details of the deal. Nike published a page advertising Barcelona shirts with Coutinho printed on suggesting the star is set to leave Liverpool. Liverpool and Jürgen Klopp are reported to be furious with both Barcelona and Nike. Liverpool will demand a huge fee from Barcelona after Nike ‘leaked’ the details of a Philippe Coutinho deal to the Camp Nou. 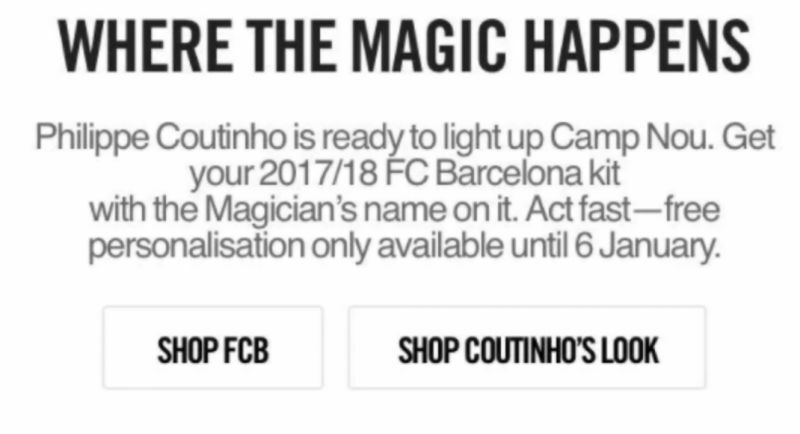 Just two days ago Nike published a post on their official website advertising Coutinho printed Barcelona shirts suggesting that a deal to bring the Brazilian to the Camp Nou had been completed in-time for the January transfer window. The page on Nike’s official website has since been amended. The Telegraph have reported Liverpool’s frustrations over the mishap with the Premier League club alleged to be furious with both Nike and Barcelona. Further, the report states that Liverpool will now demand an astronomical fee for the Brazilian playmaker. Coutinho was left out of Liverpool’s squad travelling to Turf Moor to face Burnley today offering another huge indicator that the star could be departing Anfield in January. However, while the deal is starting to look increasingly likely it could take a massive fee fro Barca to secure a deal for the star after Nike’s mishap earlier this week.